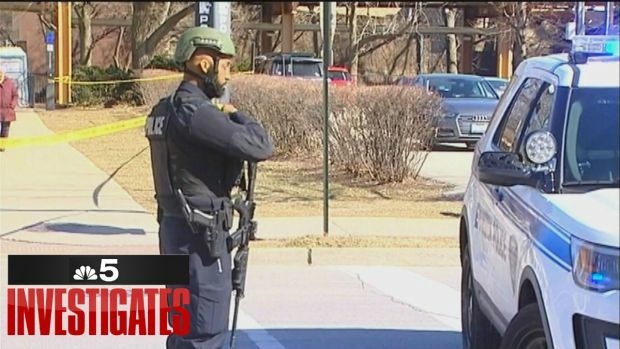 Four months after a massive hoax where Northwestern University students were led to believe there was an active shooter on campus, investigators say they have determined that the entire episode was targeted at a video gamer with 100,000 online followers. But the caller, who claimed he had killed his girlfriend in Northwestern University’s Englehart Hall, appears to have placed the call from a computer himself. And whatever system he used so masked that call’s origins that investigators have deemed it untraceable. When the call came in to the front desk of the Evanston Police Department March 14, it all seemed very real. Audio of the call, obtained by NBC 5 Investigates, suggests that the caller had disguised his voice electronically. And he told police he was prepared to incite more violence. Four months after a massive hoax where Northwestern University students were led to believe there was an active shooter on campus, investigators say they have determined that the entire episode was targeted at a video gamer with 100,000 online followers. Phil Rogers reports. The man told police he had killed the girl’s mother earlier in the day at another location. 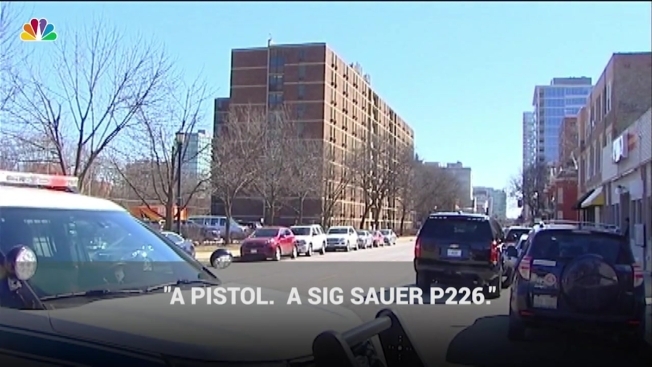 “There was a concern that a woman had been gravely wounded by a semi-automatic rifle and we needed to proceed accordingly,” Evanston chief Richard Eddington told NBC 5. Very quickly, some 20 local and federal agencies were responding, and Northwestern was warning students to shelter in place. But police say fairly quickly, things didn’t add up. During one call, the gunman purportedly fired off a round to prove his intentions, but none of the officers on scene heard a shot. And when they eventually entered the apartment in question, they found it empty. Some two hours into what appeared to be a frightening situation, the entire episode was deemed to be a hoax. And further investigation revealed that the “victim”, a Northwestern law student, was very much alive. Eddington says police have determined that the woman’s boyfriend was the intended target of what was actually, an elaborate game. Luckily, no one was hurt. But the diversion of police resources was enormous. The case is now closed. The call was deemed untraceable. And police say they have determined the gamer in question who was targeted bore no complicity for the episode.